Product prices and availability are accurate as of 2019-04-23 16:25:52 BST and are subject to change. Any price and availability information displayed on http://www.amazon.co.uk/ at the time of purchase will apply to the purchase of this product. Inspired Interior Designs Shop are delighted to stock the fantastic The Great Interior Design Challenge - Decorate your home with style. With so many available these days, it is wise to have a brand you can recognise. 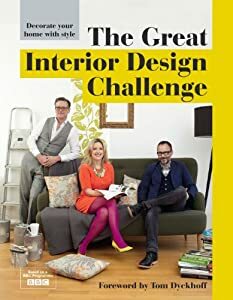 The The Great Interior Design Challenge - Decorate your home with style is certainly that and will be a superb acquisition. 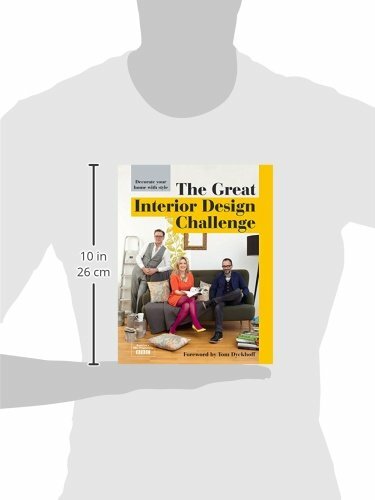 For this reduced price, the The Great Interior Design Challenge - Decorate your home with style comes widely respected and is always a regular choice for many people. Pavilion Books have added some nice touches and this equals great value. The Great Interior decoration Difficulty is the main tie-in to the prime-time BBC 2 series.Twenty-four amateur designers contend for the title, supervised by judges interior stylist Sophie Robinson and designer and interior designer Daniel Hopwood as host Tom Dyckhoff, architecture and interior decoration critic offers support. The book consists of study from the series - covering all space types, breakdowns of budget plan and state of mind boards as well and expert recommendations from the judges. The book takes a look at a range of historical styles throughout the UK that include in the series - from Regency to Victorian and Edwardian to Art Deco right as much as modern commercial warehouse conversions - with motivation for embellishing within the style of your home. Consisting of a number of upcycle jobs from the TELEVISION series, technical know-how and expert pointers from the judges, this book will help the amateur attain expert outcomes. Tom Dyckhoff is the speaker and is the architecture and design critic for the BBC's The Culture Program and has composed and presented numerous documentaries for the BBC and Channel 4. Tom has composed a weekly column in The Guardian Weekend for more than a decade and was the architecture critic for The Times. Sophie Robinson is one half of the judging panel and has been in the interior decoration business for over 12 years with a credibility as one of the market's top interior stylists, frequently utilized by top magazines and tv. Daniel Hopwood completes the team as the 2nd judge and has created homes for millionaire customers, and is a director at the elite British Institute of Interior decoration.